Hi loves! How are you? I have some great polishes to show you today. This package took quite a while upon arriving but when it did arrive, I was so excited! Too fancy Lacquer hasn't been around very long yet but has become one of my favorite indie brands. 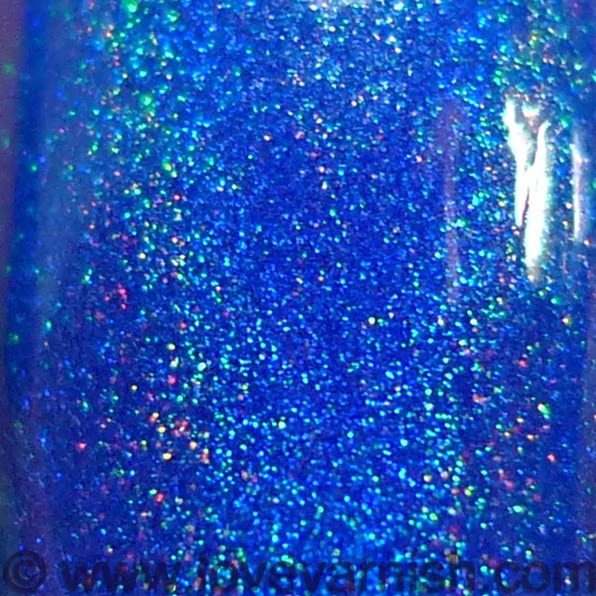 I love that Charlene does so many holo polishes and the colors are very pretty. I'll start with some good news first: these beauties do NOT have that smelly base anymore. Charlene changed to a different base so if you were hestitating to get these because of the smelly base, don't be anymore! In other news, yes I chopped my nails. Sometimes I just get irritated with them all of a sudden and cut them down. You'll be seeing my long nails again over the next few days as I had a nice backlog of pictures but these swatches were done today on my fresh nubs :-). Now, let´s take a look at polish shall we? All swatches are with Duri Rejuvacote as a base and Essence Better Than Gel Top Sealer as a topcoat. Too Fancy Lacquer Rosé By The Dozen. A muted rosy pink linear holo with a slight purple color shift. This polish almost looks metallic! Very unusual and I like the metallic feel with the holographic finish. The purple color shift didn't show up for me in real life though somehow it did manage to show up on the pictures LOL. This applied very buttery and opaque and I could have left it at 1 coat (I'll probably try this for stamping!) but did 2 out of habit. I am not sure wether or not I like this color on me. I think the pink hue doesn't compliment my skintone, maybe it looks better on someone with a tan or that's less fair than me? Too Fancy Lacquer The Bluemuda Trio. This is the first set of a series Charlene planned to release in the future. Each set will contain 3 different shades from the same color family, and blue is the inaugural color. Such a cool idea! 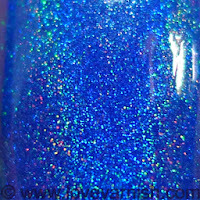 I loooove blue polish and I know a certain someone that is squeeling right now (hi Ilaria ^^). Too Fancy Lacquer Moody Blue. Muted greyish blue subtle linear holo. Oooooh how I love this shade. Very creamy, it was nearly opaque in 1 coat, with 2 coats it is perfect. Depending on the light and your skintone this pulls more or less blue. I think it fits the rainy days we can have here perfectly and the subtle holo makes it more interesting to look at. Application was a dream, again very buttery. It was a bit thick but I like thicker formula's, less chance you need to do any clean up! Too Fancy Lacquer Bejeweled. 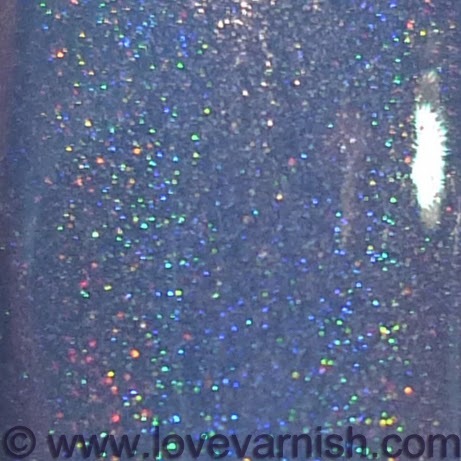 Turquoise blue linear holo. This is bright! A very intense color, almost has some glowing quality you rarely find in a blue/green color. There is definitely a hint of green in this one and I used 3 coats to build it up. It applies very evenly so you could also leave it at 2 of you wish, it has a more translucent feel to it if you do. The holographic effect is quite strong with this one and I am sure this will please a lot of polish addicts! Too Fancy Lacquer Set Fire To The Rain. 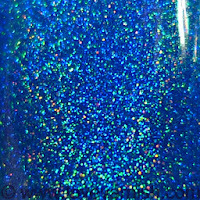 Sapphire blue linear holo. It might look close to Bejeweled, but Set Fire To The Rain is a true blue, if you put Bejeweled next to it you'll see the green in that last one. I like the deep shade of sapphire and the holographic effect in this one. I needed 2 coats and again, application was flawless! 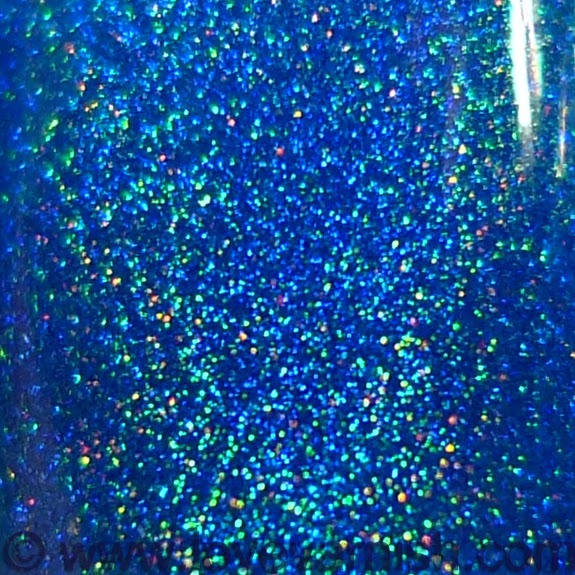 Not as thick or creamy as Moody Blue but just a nice, self leveling, opaque polish that doesn't pool or drag. Wow, 4 lovely lacquers, which one is your favorite? If I had to pick one, I guess it would be Moody Blue. It feels the most unique to me even though the holographic effect is more subtle. The release date of all 4 polishes is somewhere in the coming week, be sure to check Too Fancy Lacquer's Facebook page as Charlene will announce the exact launch date over there! Ohhh my those blues are all fabulous!! ♥ thanks for the fabulous polish :D! They are huh? Thanks Amanda! :D it is so soft and creamy! Thank you! Glad you enjoyed :).